The Board of School Education Haryana has issued the Date Sheet or Haryana Open School Secondary and Senior Secondary Exam.The examination will be start from 29.10.2014 for Class 10th and from 28.09.2014 for class 10+2.These exam will be held in all districts at various exam centres.According to the spokesman of the Board of School Education Haryana HOS Admit Cards will be uploaded on board's official website before some days commencing the examination.So many candidates from various districts like Hisar,Rewari,Gurugaon,Kaithal,Mohindergarh,Panchkula,Sirsa,Fatehabad,Kaithal Kurukshetra,Karnal,Ambala,Bahadurgarh had filled form and going to appear in this exam. Date- Sheet (Theory Papers) for Secondary Open School students. Examination from 29.10.2014.Time 2:00 PM to 5:00 PM. 14.11.2014= Social Science.17.11.2014 =Sanskrit/Urdu/Punjabi/ Home Science. Security Guard-500 Posts-Minimum Educational Qualification-Matric + ESM +NCC B/Certificate / Sportsman winner of State level games + Physical Standard. Assistant Revenue Inspector in T & C Grade C-15 Posts.Qualification-Matric + ITI + Six years experience. Accountant-12 Posts.Qualification-Must have passed Intermediate Examination of ICWA or CA. Age as on 20.11.2014-18 to 30 years.Relaxation as Govt. rules. Assistant Teacher (TGT) Male-147 Posts. Assistant Teacher (TGT) Female-212 Posts. SCO-193-195,Sector-34 A,Chandigarh U.T.,Telephone No. 0172-2600971. Age as on 01.01.2014-18 to 38 years.Relaxation as per rules. of staff in the Directorate of Governance Reforms link. Applications received through any other mode would not be accepted. Office-Sohana Road,Opposite Panchayat Bhawan,Sohna Road,Gurugaon,Haryana. The Director of State Council of Educational Research and Council and Training Haryana has announced the counselling schedule for 6th counselling for admission in Diploma in Education (D.ed.) 2014-16 and Diploma in Education (D.ed.) Urdu 2014-16.This counselling is manual counselling and it will be held at SCERT Gurugoan,Haryana from 05.10.2014 to 08.10.2014 for Arts candidates. Evaluation of Answer Sheets of 10th Class and 10+2 Class (Arts,Science and Commerce Stream) 1st Semester Exam will be started from 30.09.2014.Evaluation of Elective Subject ie (Sanskrit,Punjabi,Physical Education,Drawing,Music and Home Science) will be start from 04.10.2014. Board of School Education Haryana (BSEH) is going to start the evaluation of answer sheets of class Secondary and Senior Secondary 1st Semester exam from 30.09.2014.The Secretary of Board issued Letter No. 13358-15203/S-I dated 24-09-2014 for Marking duty of 10+2 class exam and letter no.21787-24155/S-II dated 22-09-2014 for Answer Sheets evaluation of class 1oth.Letters are available on website.Schools can download their letter by use ID and Password provide by BSEH. The Board of School Education Haryana HBSE has not issued any Information Bulletin yet about next Haryana Teacher Eligibility Test (HTET) up to today 26.09.2014.But last two days rumors are there on Social Media i.e.Facebook and Whatsapp that the next HTET will be held on 15.11.2014 and 16.11.2014.As per rumour the starting date of filling the online application is 30.09.2014 and the last date for online application will be 07.10.2014.Admit Cards will be uploaded on 25.10.2014.HBSE told today that no exam plan is ready yet for HTET 2014.We inform all the visitors of this website to keep in touch with us for latest information.When HTET November 2014 exam will scheduled.we will inform you as soon as possible.It is notable that last HTET was held on 01.02.2014 and 02.02.2014. KUK Result May 2014 Exam M.A.Classes English-History-Hindi-Pol-Sc. Kurukshetra University, Kurukshetra (KUK) has announced the result of M.A.English (Previous and Final,2nd and 4th Semester),M.A.History Final,M.A.Political Science Final and M.A.Hindi 4th Semester Exam these days.These examinations were held in May 2014 at various exam centres.According to the spokesman of the examination wing the result has announced on 22.09.2014.It is notable that a large number of candidates had been waiting their result for a long time. Head Constable (Telecommunication) -229 posts. For UR-116,for SC-34,for ST-17 and for OBC-62 Posts. Address for application-The Inspector General, HQrs Central Frontier, Indo-Tibetan Border Police Force, Plot No. 163-164 (E-8), Trilochan Nagar, Post Office-Trilanga Near Shahpura, Bhopal (Madhya Pradesh) PIN Code-462039. Qualification-10+2 with Physics, Chemistry and Mathematics with minimum 45% marks. The Central Board of School Education has uploaded the Answer Keys of Central Teacher Eligibility Test (CTET) 21.09.2014.Now candidates can check their answers by the use of Answer Keys for Paper-1 and Paper-2.A notification published in various Newspapers about Answer Keys and the last date for objection on CTET question and their answer keys is 26.09.2014.It is notable that CTET September examination was held on 21 September 2014 Sunday at various exam centres as per prescribed previous schedule.Written Test hold for two level exam.Paper-1 and Paper -2.Paper-1 is useful for recruitment of Primary Teachers and Paper -2 is for Class 6th to 8th teachers. After these exam candidates were busy in searching correct answers of CTET September 2014 exam.CBSE has not issued any answer key till today 25.09.2014.So they are visiting various website on internet to find answer keys.Now original answer key is available. Mathematics Paper-BM-101, Algebra & Trigonometry,Chemistry Paper-I, Inorganic Chemistry (Theory),Electronics Paper-I (Theory),Physics Paper-I, Mechanics, properties of Matter, Kinetic Theory & Relativity,Statistics Paper-I, Probability Theory,Botany Paper-I, Diversity of Microbes & Cryptogams. Pay Scale-9300-34800 + Grade pay 4200. Qualification-Graduation in psychology or Sociology or Social work + Knowledge of Hindi. Pay Scale-5200-20200 + Grade pay 2400. Qualification-10+2 + Computer Knowledge + Knowledge of Konkani and Marathi +Speed of 100 words per minute in shorthand and 35 words per minute in typewriting. This job is on contract basis for a period of Six Month and can be extended. Age -18-35 years. (Relaxable as per the instructions issued by the Chandigarh Administration from time to time.). Last date of application-10.10.2014 up to 4:00 PM. Date of interview-The date and venue of interview will be displayed on the website later and will be informed by email also. Qualification-Passed 10th Standard Examination under 10+2 system +Should possess NTC/NAC in the Electrician trade + Certificate under one year regular crafts instructors Training Scheme + Minimum two years experience. Information in detail-The candidates are advised to check the institute’s website www.itichd.net.in daily for latest information. The Central Board of School Education (CBSE) hold CTET September 2014 exam on 21.09.2014 Sunday at various exam centres as per prescribed previous schedule.This Written Test hold for two level exam.Paper-1 and Paper -2.Paper-1 was for helpful to recruit Primary Teachers and Paper -2 for Class appointment of 6th to 8th teachers. After these exam now candidates are busy in searching correct answers.CBSE has not issued any answer key about CTET 21.09.2014 till today 22.09.2014.So candidates are visiting various private website on internet to find answer keys.The educational expert team of our website is preparing answer keys for CTET September 2014 exam.After completion this project,we upload answer keys. For UR-44,for OBC-13,for SC-14 and for ST-17 Posts. Age as on 01.01.2015-18 to 35 years for male candidates and 18-45 for Female candidates. 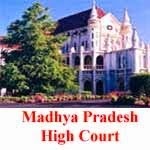 Reservation-It is made clear that all candidates who are not bona fide domicile of state of Madhya Pradesh shall be treated as UR candidates. Examination Fee and Portal Charges-400 rupees.Fee 200/for OBC/ST and SC candidates.Portal Chargers 100/-. Admit Cards-The admit cards shall be generated by MP Online limited online about 15 days prior to the date of examination. General Knowledge-25 Questions for 25 marks. Place of Posting-Punjab.91 in Offices and 52 at Tax Collection Centres. Qualification-Passed 10+2 with minimum 60 % marks +Passed A Level Examination with minimum 55% marks. Fixed remuneration - Rs. 25000/-per month.Place of Posting-Different places in Punjab. Applications are invited for recruitment of Mazdoor from eligible Indian citizens. One vacancy reserved for PH (Hearing Handicapped),02 vacancies reserved for ESM candidates and one vacancy reserved for Meritorious Sports person. Pay Scale-Pay Band-1 Rs.5200-20200 + Grade pay Rs.1800/-. Minimum educational qualification-Passed Matric or equivalent. Physical Endurance Test/Skill Test-Passing a timed run,physical endurance test and written test. Age limit-For UR-18 to 25 years.For OBC 18-28 years.For SC-18-30 years.For Physical Handicapped-18 to 40 years and for Sports Person-Five years extra age concession in his/her category. Last date-Apply within 21 days from the date of publication in Employment News.Published in The Tribune on dated 20.09.2014. Work of Watchman/Security Guard-Checking of vehicle at the time of entry or exit.Dispatch work etc. 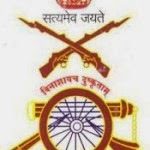 Educational qualification and experience-Minimum 15 years experience in Indian Army/B.S.F./C.I.S.F/C.R.P.F.Preference will be given candidates having Rifle/Revolver. Documents required at the time of interview-Attested copy of Education qualifications,Certificate of Date of Birth,Experience Certificate,Copy of Last Salary certificate,Two passport size photograph. Remuneration-First Year-14400 per month.Second Year-15600 per month.Third Year-16800 per month. These vacancies are included newly created existing and anticipated vacancies. For General-53,for BCA of Haryana-11,for SC of Haryana-22,for BCB of Haryana-05,for SBC of Haryana-05,for EBP of General category-05 Posts,for ESM of Haryana-12 posts,for Physical Handicapped of Haryana-06 Posts. Age as on 18.10.2014-21 to 40 years.Relaxation as per Govt.rules. Qualification-Graduate in Engineering (Computer Science/IT)/Post Graduate in Science/Graduate in Science with PG Diploma in Computer Application. Skills-Excellent Communication and interpersonal skill. Age as on 01.10.2014- Maximum 30 years.Relaxation to SC/ST/OBC/PwD.candidates as per Govt. of India rules. Place of Posting- Noida/Delhi. Working days- Six days a week. Kurukshetra University, Kurukshetra (KUK) has announced the result of M.A.Public Administration Final and M.A.Punjabi Final today on 19.09.2014.These examination held on May 2014 at various exam centres.According to the spokesman of the examination wing the result has announced on 19.09.2014.It is notable that a large number of candidates had been waiting their result for a long time. The Detailed Marks Cards (DMC) will be dispatched soon.Now passed candidates can get admission in their next class. Walk in Interview for filling various posts under National Health Mission (NHM) Chandigarh on contract basis. Range of Roll no.-Paper II: 03500001-03500244,Both Paper: 03500245-03500308 and for Paper I: 03500309-03500404.The next date for exam will be announced shortly. Uttar Pradesh Public Service Commission (UPPSC) invites online applications for recruitment of Rajasva Nirikshak in Uttar Pradesh.Total posts are 617. How to apply- Apply online.Online application will be completed in three stage. Pay Scale: Rs. 5,200/- Rs. 20.200/- (Grade Pay Rs. 2800/- . Post – Non-Gazetted,Permanent. Reservation-Reservation as per Govt.rule.Qualification-Qualified Bachelor Degree. A” Grade, NAAC Accredited,Established by the State Legislature Act XII of 1956. Rate and availability of prospectus-Rs.800/-for General category candidates (Rs. 200/- for SC/BC/SBC/EBP/Blind Candidates of Haryana) at the Sale Counter of University.Rs.650/-for General Category candidates (Rs.200/- for SC/BC/SBC/EBP/Blind Candidates of Haryana) by Registered post.Prospectus and Application Form can be downloaded from the University Website.Such forms must be accompanied with Demand Draft of Rs.800/-(Rs.200/- for SC/BC/Blind Candidates of Haryana) in favour of Registrar, KUK or amount may be deposited in any CBS Branch of Punjab National Bank in India. Original Deposit Slip/DD must be attached with downloaded form. Applications are invited for admission in M.Ed one year course for the Department of Education and Colleges of Education affiliated to Kurukshetra University running M.Ed. under SFS for the session 2014-15. Entrance Test will be conducted on 19.10.2014. Eligibility for admission-B.Ed./B.A. B.Ed./B.Sc. B.Ed. Examination with minimum 45% marks and minimum pass marks for Schedule Caste/Schedule Tribe Candidates. How to get Prospectus-Prospectus Containing details and Admission Form can be obtained from the Manager (P&P), Kurukshetra University, Kurukshetra by remitting a sum of Rs. 850/- (Rs. 250/- for Schedule Caste/Backward Class/Blind candidates of Haryana) by Demand Draft in favour of Registrar, K.U. payable at Kurukshetra, if required by Post. Price at the counter is Rs. 800/- (Rs. 200/-for SC/BC/Blind candidates of Haryana). Sub Chief Manager(E-5),Manager (E-4) and Graduate Executive Trainee (E-2). Hindi Officer (E-4) and Hindi Officer (E-2). General Medicine/Emergency Service,General Surgery,Dermatology,Pediatrics,Orthopedics,ENT and others. Age limit for E-2 Grade-30 Years.Age limit for E-3 Grade-32 Years. Age limit for E-4 Grade-36 Years..Age limit for E-5 Grade-44 Years.